The winner of our January-2017 monthly draw for a $100 gift card is Yun-yun Chiang! 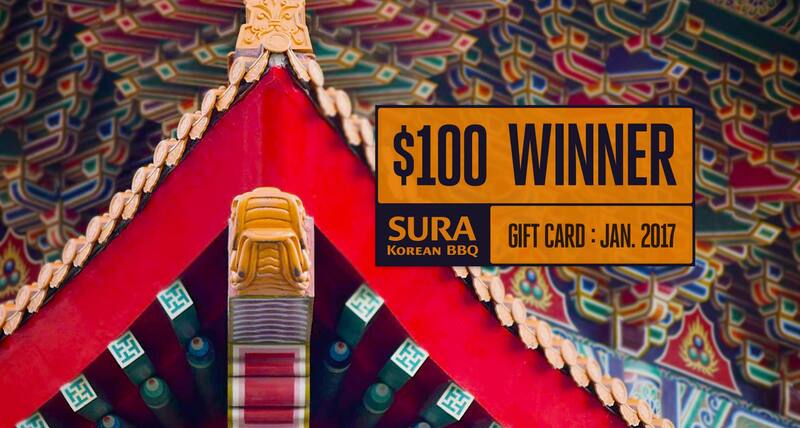 Hi Yun-yun, please visit SURA Korean BBQ Restaurant in Richmond Aberdeen Centre, between tomorrow Feb. 17, 2017 and Mar. 16, 2017, with your ID (a must!! ^^’) to claim your prize!